"The system is broken. 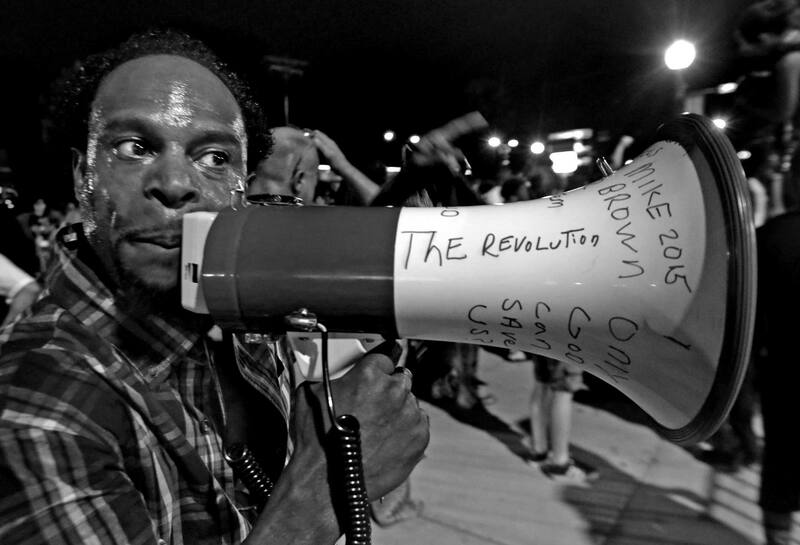 We can't get any jobs," shouts Mo Brown at a police officer in the parking lot of the Ferguson Police Station on Friday, Aug. 7, 2015, in Ferguson. Brown joined about 150 protesters outside the police station. Sunday marks the one year anniversary of the fatal shooting of Mike Brown by former Ferguson police officer Darren Wilson.